BlockChain Report 10/31: Is Crypto About To Collapse? Taylor Nikolai explores if Cryptocurrency is about to collapse. 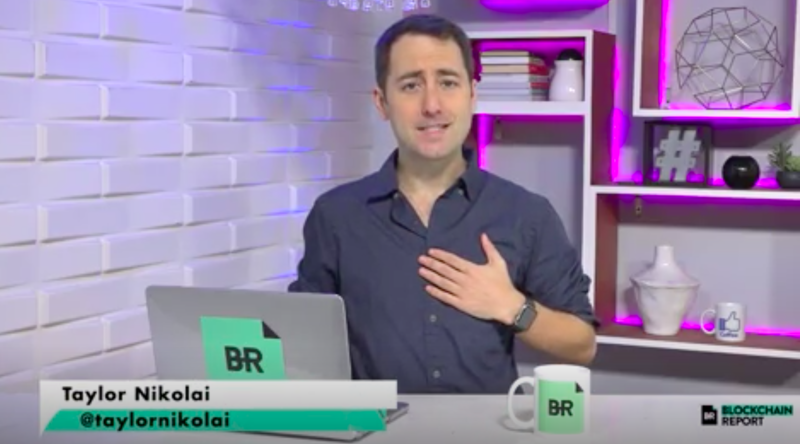 Welcome to The Blockchain Report, your daily rundown for the latest in crypto with your host, Taylor Nikolai. First up, is crypto about to collapse? No, crypto is not about to collapse. According to Hacked.com. Ethereum co-founder Joseph Lubin, who is also the founder of Consensys, made statements on the matter In an interview with CNBC. He talked about how there have been several “booms and busts” over the past 10 years, but it’s never looked stronger than today. Next up, Bitstamp has been acquired. According to Fortune, the Luxembourg-based crypto exchange Bitstamp has been acquired. This news comes directly from an announcement from the company. Bitstamp is being acquired by NXMH, which is a Brussels-based private equity and investment firm. NXMH already owns the South Korean cryptocurrency exchange Korbit. We don’t know exactly how much it sold for, but rumors are there are rumors that it went for around $400 million. Nejc Kodrič is the CEO of Bitstamp, and will still remain in that role even after the acquisition. Kodrič doesn’t believe anything will change to Bitstamp despite the acquisition. Both Bitstamp and Korbit will now share technology and resources. Next, crypto regulations are threatening UK’s status as a Fintech Hub. According to CCN, a report created by the British Business Federation Authority (BBFA) together with the cryptocurrency exchange TodaQ stated that current regulations for cryptocurrencies could also result in other assets such as bonds, shares, and stocks to be penalized. This could lead to unintended consequence of causing cryptocurrency exchanges to leave the UK. Check out more stories in the episode above and follow us on Instagram at @BlockChainReport for more updates! VIDEO: What Is the FIRE BREATHING STAIRCASE CHALLENGE? ?